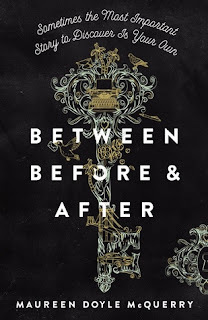 How did you come up with the idea for Between Before & After? How much did the story change from initial idea to final version? The seeds of this story were planted by my father. He told stories about being an orphan in 1919 Brooklyn after his mother died from the Spanish flu and his family fell apart. But then, the story took on a life of its own. The basic storyline never changed, but I needed to dive much more deeply into the characters. One of the challenges was knowing when to shift from one storyline to the other. 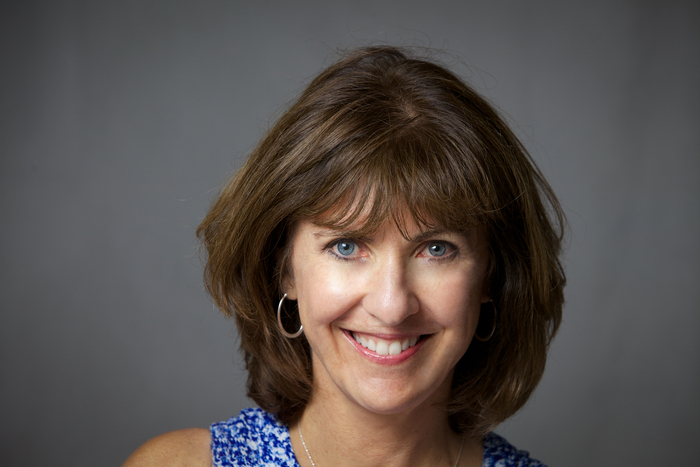 Molly’s story spans one summer, while Elaine’s spans many years. I had to balance the two. I also had to find a way to connect the Hansel and Gretel story with the main storyline. Hopefully the fairy tale adds depth to the story reminding us that we can survive and flourish despite the difficulties we encounter along the way. What connection do you personally have to this story, if any? In many ways it is my family’s story. The trajectory of my father’s family was changed by his mother’s death in the flu pandemic of 1918-19. He was ten and after her death, he lived on the streets, surviving the best he could into adulthood. A young child growing up the on the streets brings all that childhood trauma into all future relationships. I grew up in San Jose, CA where Molly’s family lives. The landscape of the San Francisco Bay Area is close to my heart. Like Molly, I knew my family was full of secrets, and I was curious to know more. During the years I spent working on this book a very redemptive event occurred, I discovered I wasn’t an only child as I had always believed, but I have two living half-brothers and the book is dedicated to them. Can you talk a bit about the process of weaving a fairy tale retelling into your narrative? Why Hansel and Gretel? The story of Hansel and Gretel felt so closely tied to the narrative, that I couldn’t imagine writing the story without it. My challenge was helping readers see the connection. It’s a story of resiliency, two children abandoned in the darkest part of the forest, who despite all odds find their way home. There are still forests in our lives today. The streets of our cities can be as dangerous as the grimmest fairy tale. Fairy tales speak to us on the archetypal level. We need to be reminded that although the world is not a safe place, it’s possible to survive the woods and emerge changed, but with our humanity intact. Read more with Maureen after the page break. Besides Hansel and Gretel, what is another favorite fairy tale of yours and why? I love so many of them! They all hide deeper truths. I’m finishing a project that is tied to the tales of swan maidens and selkies. It’s, no surprise, a story of transformation and choosing the story we want to live. In my earlier novel, The Peculiars, I give a nod to George McDonald’s stories of goblins and the way we fear people who may be different than we are. What three words would you use to describe Molly? Elaine? Molly realizes near the end of the book that she and her mother are more alike than she ever imagined. How different do you find writing for a YA audience as opposed to a MG audience? Do you go about it the same way? Getting the voice right is one of the trickiest parts, and voice has so much to do with the kind of things a character pays attention to. MG readers are very concerned with fitting into their families and fitting in with friends. In YA the emphasis moves more to friends, the unknown future and larger world, and romantic relationships. At fourteen, especially in 1955, Molly is right on the cusp of moving from MG to YA concerns. Elaine has to grow up quickly and I have to age her from 14 to 16 and then to an adult. 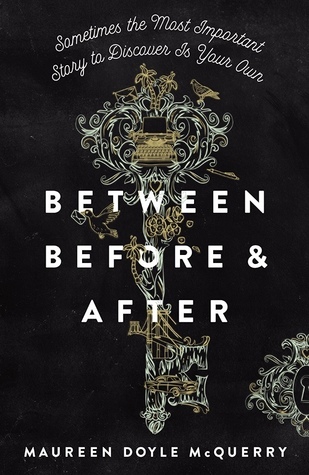 What was the most interesting tidbit of information you learned in your research for Between Before & After? There are so many it’s hard to choose! 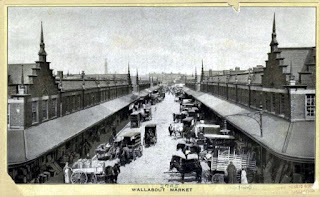 I think one of the most fascinating things is that Brooklyn in 1919 had the world’s second largest wholesale food market and it was beautiful! The market was a village of brick buildings around a central square. The buildings were designed in the Dutch style of architecture by the famous architect William Tubby. I was also surprised at how quickly the flu killed its victims. About 600,000 died in the U.S. alone, more than in WWI! See question 4 above. I’m also editing a story set in the desert of CA that involves two teens, the three fates and a local legend of a strange beast called the Lone Pine Devil.